Three Eighths of a Hooray! Well, I feel like it was only a few posts ago that I had the ceremonial “changing of the environmental control system” in the garage. 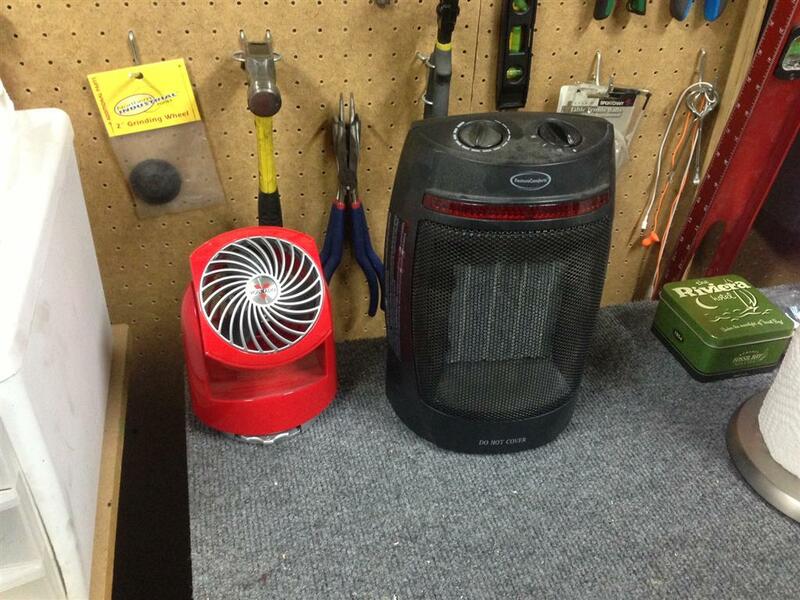 Alas, it was cold yesterday in the garage, so we (yes! Cousin Taylor’s back to help!) decided to perform the heater ritual. Ah, the sweet localized warmth of the heater. We were kind of elbowing each other out of the way all night to stand in front of it. 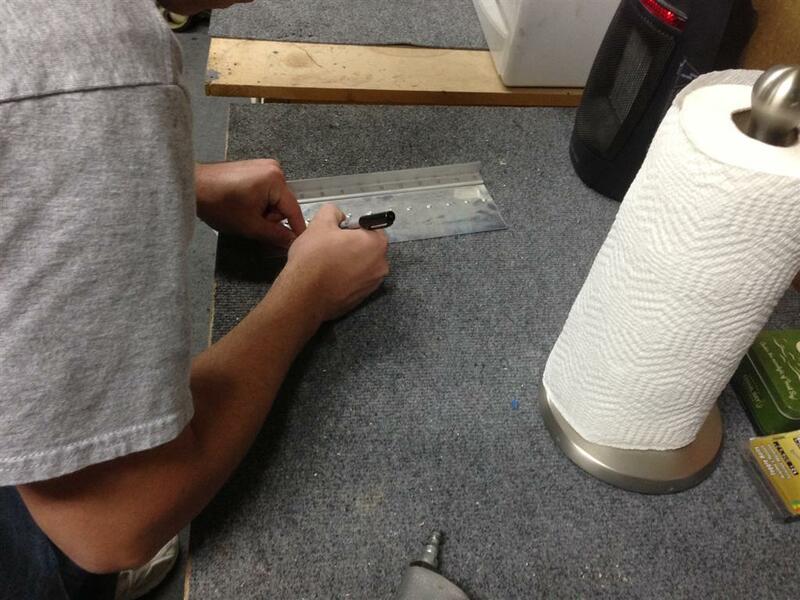 Last time Taylor was helping, we were just squeezing rivets on the flap. This time, I needed his help shooting and bucking. Instead of just blasting off, we did about a 15 minute lesson. Carefully marking a new hole on my practice piece. Then, I shot one rivet, and then I made him do it alone, then we did a third one with him shooting and me bucking. Since I’m so skeptical, I didn’t want to start into the bottom skins with only one teamwork rivet under our belt, so I drilled a few more holes and we shot the rest. They all ended up perfect, but we got a good feel for communication, etc. I find it useful to explain that we want about 10 “hits” (although they happen so fast you can’t really count them) in about 1-1.5 seconds. If some where a little light, I was able to ask for “4 more hits” or “6 more hits,” and he always delivered the perfect amount of additional shooting. Can’t ask for anything better than that. We ended up setting the rest of the rear spar, rib, and main spar rivets (including about 8 that I couldn’t reach alone yesterday) and then 15 more on the flap brace. For one of the “hard to reach” rivets, I was laying on the ground with my whole arm in the inspection port. I got my arm in there, then had to shift my whole shoulder into the port. Not comfortable, but we got it done. We were too busy riveting to take any during pictures. 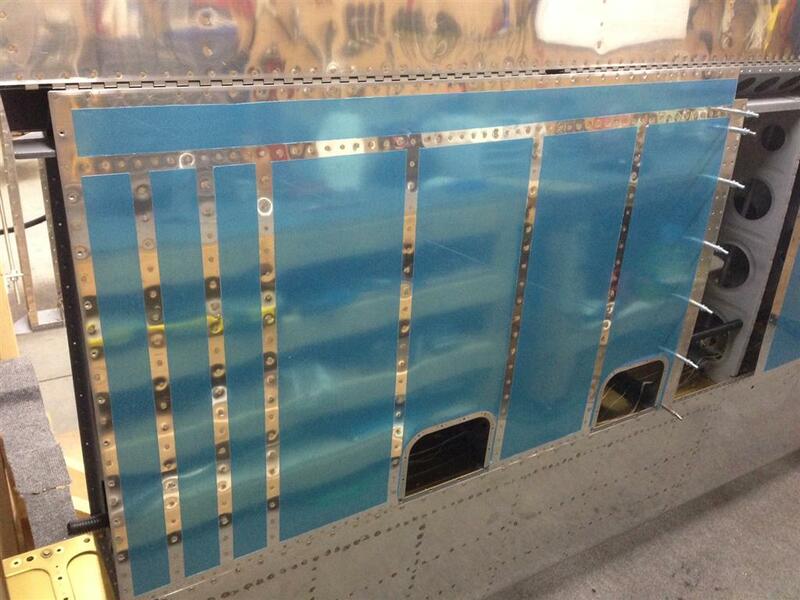 After getting the whole inboard skin done, we just had to peel off the blue tape. You know, to give you a good reflection of my work benches. 1.5 actual hours, with 2 people. 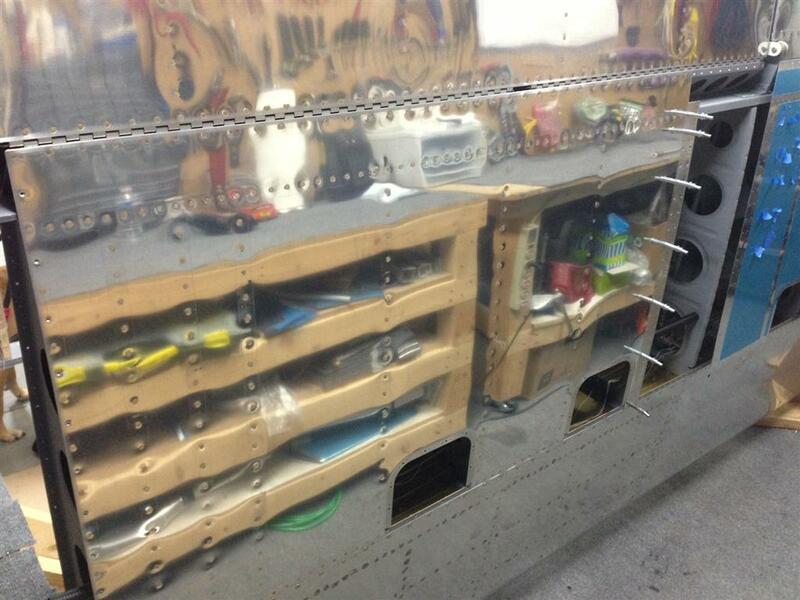 3.0 build hours, 63 rivets. This entry was posted on Thursday, November 8th, 2012 at 10:44 am and is filed under Wings. You can follow any responses to this entry through the RSS 2.0 feed. You can leave a response, or trackback from your own site.